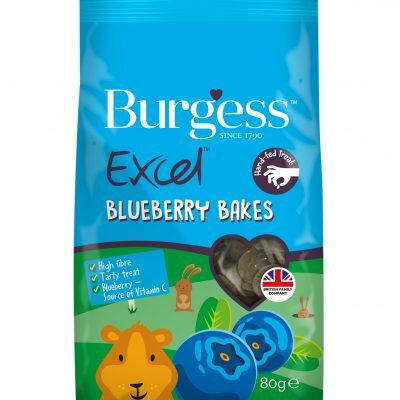 Burgess Excel Adult Guinea Pig Nuggets with Blackcurrant & Oregano 2kg /4 per outer | Topflite Ltd.
A nugget with blackcurrant and oregano for adult guinea pigs is a complementary pet food for guinea pigs, and when fed alongside a good quality fibre, such as Topflite’s Timothy Hay or other grass, provides a complete healthy diet for your guinea pig. Beneficial fibre 31%, crude protein 17%, crude oils and fats 4%, crude fibre 15%, crude ash 6%. 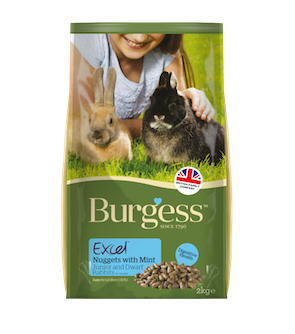 Ingredients: grass meal, wheat, Lucerne, maize, soya beans hulls*, oat feed, Hi Pro soya*, peas, wheat feed, unmolassed sugar beet pulp, yeast, soya oil*, limestone, mono-calcium phosphate, dicalcium phosphate, salt, short chain fructo-oligosaccharides 0.25%, blackcurrant 0.1%, oregano 0.06%. *may contain GM materials. Feeding guide: approx. 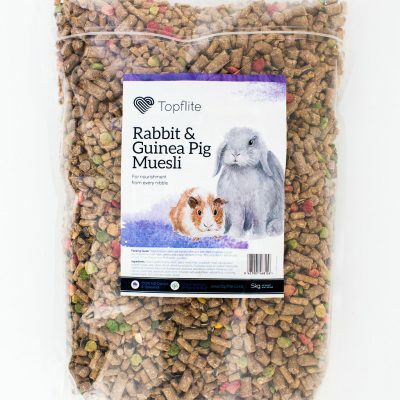 body weight of guinea pig – 700 to 1200 grams = feed approx. 30-50 grams per day. 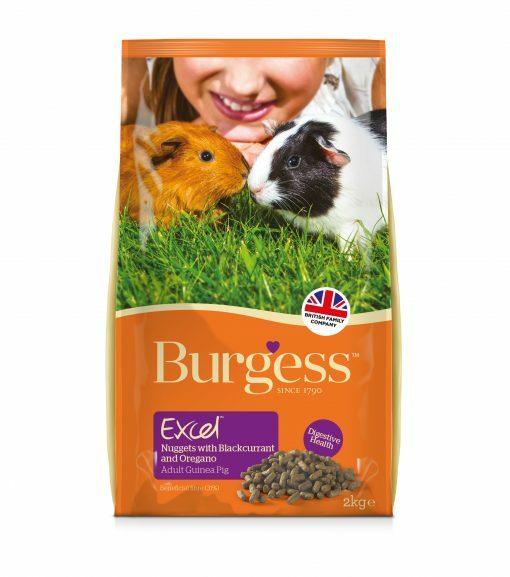 If your guinea pig has never eaten Burgess Excel Guinea Pig with Blackcurrant and Oregano before, mix it gradually with it’s existing food, gradually feeding more each day over a week until they are only eating Burgess Excel Guinea Pig with Blackcurrant and Oregano. Always ensure your pet has plenty of fresh water.